A classic chef’s favourite gravy made with good red wine and a subtle hint of thyme. Simply heat and pour over roast, pan-fried or grilled beef joints or steaks. 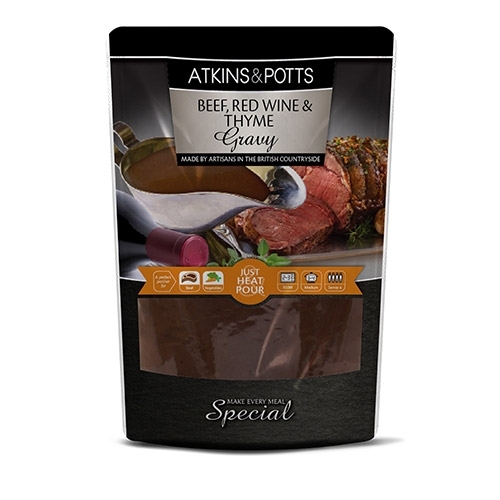 Add a spoonful of Atkins & Potts Caramelised Onions to make a meal extra special.